In a surprising turn of events Jurassic World: Fallen Kingdom is running a successful stint at the box office. Even with tough competition from Salman Khan starrer Race 3, the second installment to the Jurassic World series has fought all odds and collected a respectable 72 crores in the Indian box offices. Despite a slow start of just 5.75 crores on its opening day, the film impressed critics and audiences with a massive 53 crores in its first week. All credit goes to the positive word of mouth publicity and the exceptional reviews. Even with Remo D’souza directorial action thriller Race 3 releasing in its second week and taking away a major chunk of the screens, the dinosaurs of Jurassic World stood their ground with a consistent collection of approximately 19 crores. The disagreement between Indian Exhibitors and Universal Studios resulted in a mere 2D release in India which avoided the film from making an extra 10% had the film released in 3D. 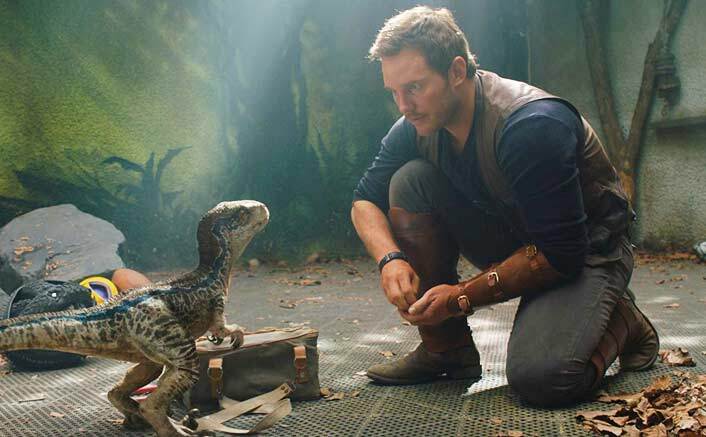 The previous installment Jurassic World raked in a massive 101 crores, the numbers of both the films prove that India has a loyal fan base for the franchise and why not. The franchise caters to both kids and mature audiences and that is one of the strongest USP’s. Jurassic World: Fallen Kingdom missed out on the coveted 100 crore club but as mentioned above the sole reason for its inability are Race 3 and No 3D. The film will end its run as 6th highest grossing Hollywood film of all time after Avengers: Infinity War, The Jungle Book, Fast and Furious 7, Jurassic World, and Fast And Furious 8. Sanju Advance Booking Latest Update: Ranbir Kapoor Is All Set To Surprise Us BIG TIME! The post Jurassic World Fallen Kingdom Box Office: Despite Race 3 The Movie Manages To Cross The 70 Crore Mark! appeared first on Koimoi.